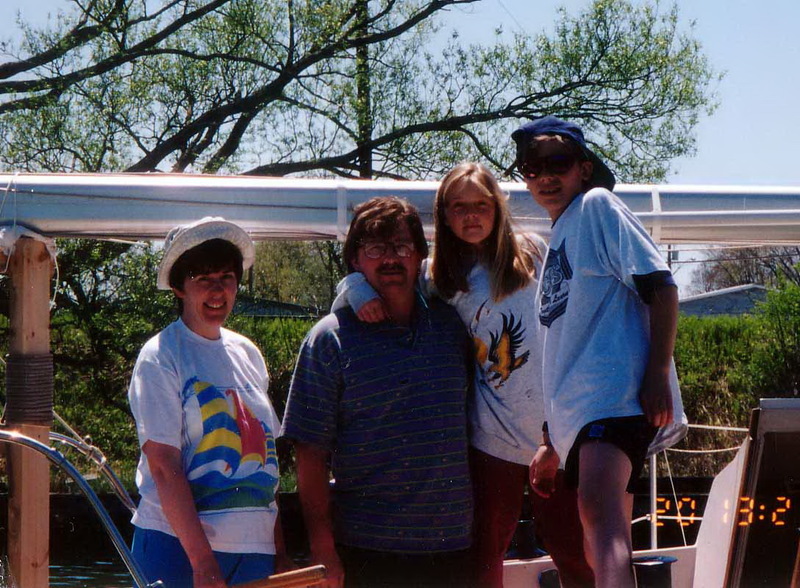 This is the whole gang in 1995 in Orillia picking up our Mirage 26 Moonshadow. We had to bring her up the trent severn waterway and sail her home to Little Current. As always she performed perfectly.